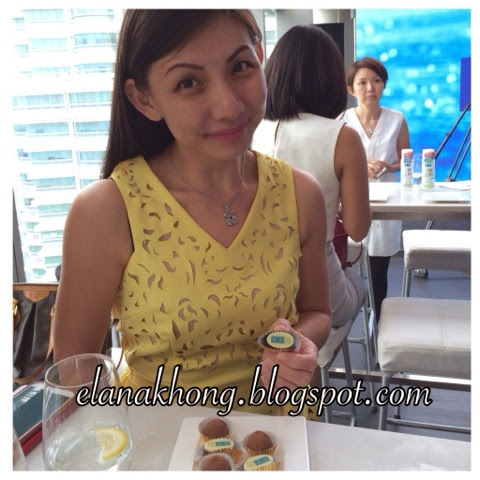 I am honored to attend the media launch of the new improved Hada Labo hydrating lotion launching from sky high Marini57, KLCC. Famous for its hydrating properties, Hada Labo unveils it's new improved Hydrating Lotion which lastingly hydrates and nourishes the skin for smooth, radiant and crystal-clear skin. Hada Labo uses the finest, purest and highly effective ingredients to provide you with the ultimate result of beautiful skin. Inspired by traditional Japanese beauty wisdom, Hada Labo adopts a "no more no less" philosophy in the formulations of its products for the perfect ingredient ratio to give optimal results. 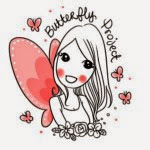 Over the years, the best-selling face lotion in Japan has become not only a part of every woman's skincare regime but also a beauty staple for the popular face in the region, including most recently, the renowned Korean drama actress, Jun Ji-Hyun. (Gianna Jun) Hada Labo recently named the famous heroine of the smash-hit Korean TV series 'My Love From Another Star' as the new brand ambassador for Hada Labo. 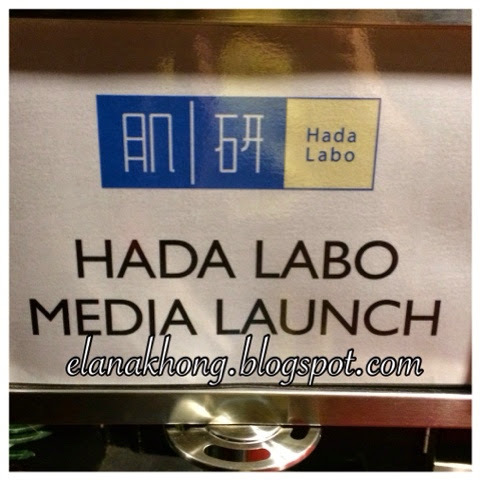 First launched in Japan in 2004, it's star product, Hada Labo Hydrating Lotion reached Malaysian shores in 2010 and since then, it has received an overwhelming response from Malaysian women nationwide. It's been selling like hot cakes, a bottle at every 2 seconds. Can you believe it? Wow.... Just wow! The product comprises of Super Hyaluronic Acid, a key ingredient that instantly hydrates skin and helps preserve its moisture balance. 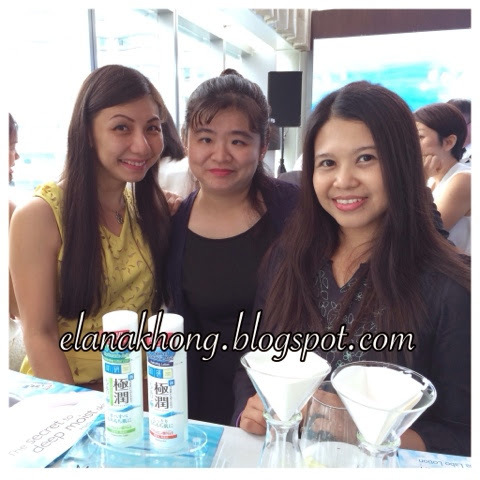 The secret to deep moist skin lies in getting moisture to work effectively across all layers of the skin. With the in mind, Hada Labo introduces it's new Hydrating Lotion which now carries a new and enhanced HPP&M technology actively infuses 4 types of Hyaluronic Acid to fully hydrate skin from the surface to inner skin layers for significantly soft, smooth and supple skin and to prepare skin for enhanced absorption of skin care ingredients. 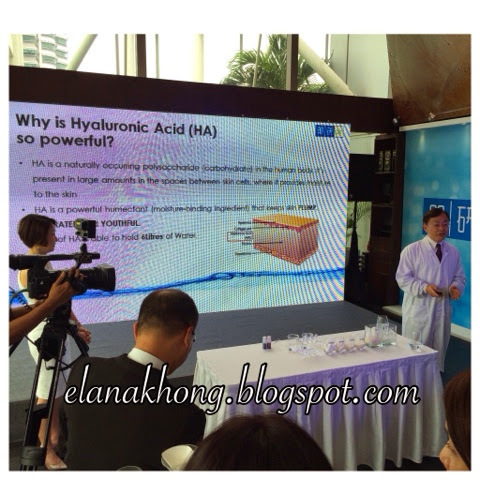 Ms Lim Mei Yuen, General Manager of Rohto-Mentholatum said"Hada Labo has grown from strength to strength over the years and with the new formulation of the Hydrating Lotion, it is a testament of our new commitment to keep revolutionizing to meet the needs of our consumers. With this success, we will continue to drive innovation and commitment in giving Malaysian women the healthy and perfect skin they have always wanted to make them feel truly special and confident. We will be introducing more lotions to this market in the near future - only the best for your skin and nothing else"
Medium-size HA - New generations of HA, with high water retention ability, staying on skin surface to hold moisture and maintain long lasting hydration. With a superior combination of all four Hyaluronic Acids, the new Hada Labo Hydrating Lotion locks in the moisture for the skin to reach its optimal radiance and translucence that helps revitalize dehydrated skin. Apart from being mineral oil free, it is also free of fragrances, alcohol and colorant. Hada Labo Hydrating Lotion has a rich texture and it is formulated for dry and normal skin. Hada Labo Hydrating Lotion Light has a lighter texture that is non-sticky and refreshing. 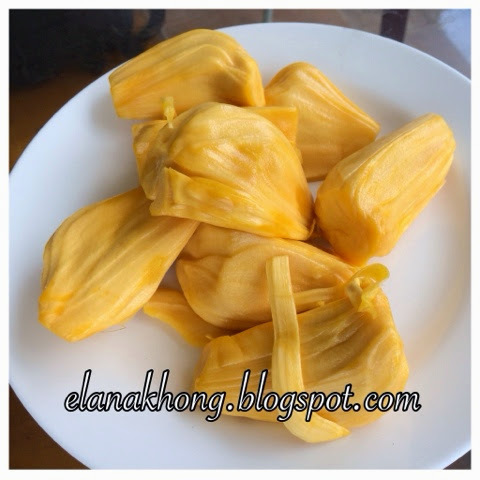 It is suitable for oily, combination or acne-prone skin. Each variant comes in a 170ml bottle and is priced at RM49.90. The new lotion will be available in all leading pharmacies and hypermarkets nationwide starting September 2014. 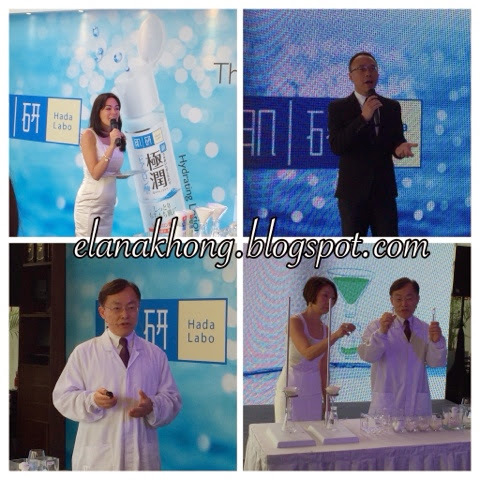 Hada Labo will also be soon introducing it's Whitening Lotion and Whitening Lotion Light. 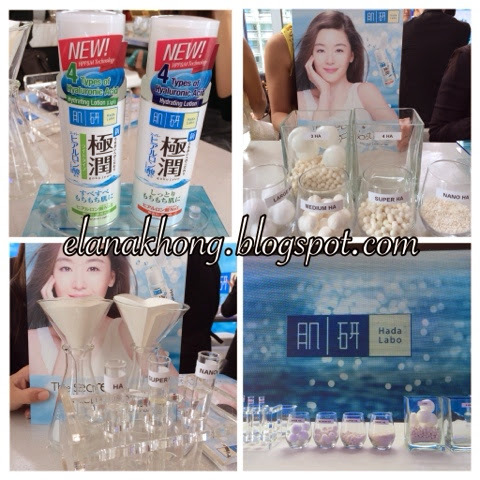 Thanks to Hada Labo for the great time! 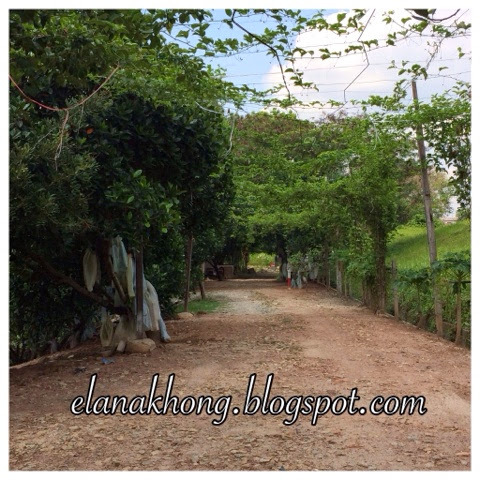 I am so excited to share, my new found hidden gem in Kajang other than satay. 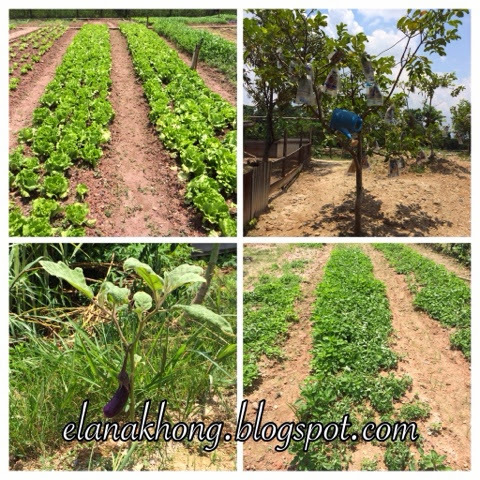 This Happy Farm Restaurant is located at Jalan Laksemana, Sg Chua Kajang. 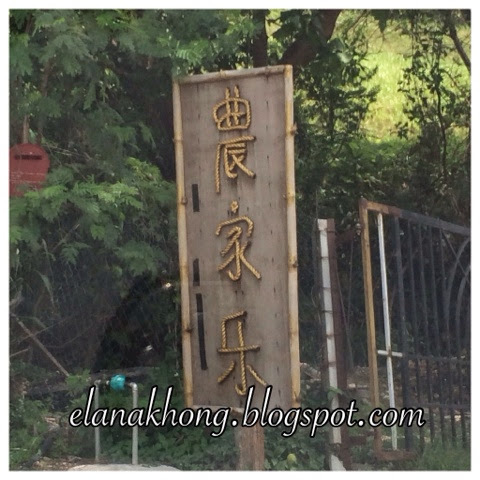 You can key in Awet Thai Garden in your GPS or Waze as it's just opposite of Awet Thai Garden or try key in Jalan 16, drive along the road and towards the end you'll reach this restaurant. 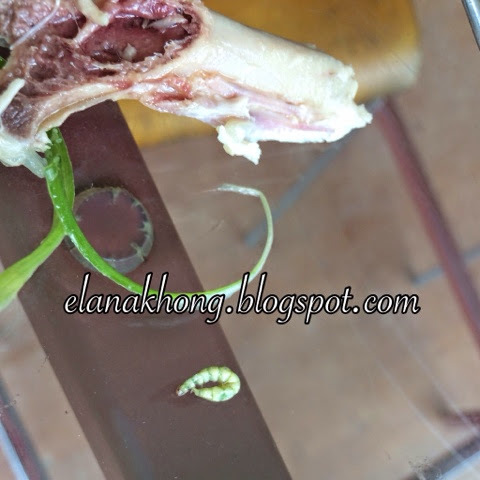 Just opened 8 months ago, this restaurant claims to serve organic kampung chicken and organic vegetable, all rear or planted nearby this restaurant. 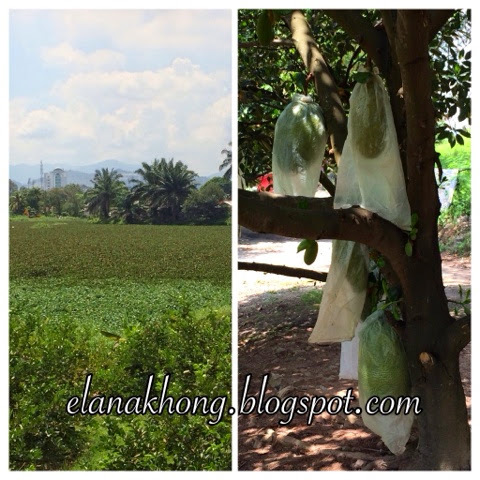 Yeah, you will be treated to a very green serene view of jackfruit trees, longan trees and vegetables. 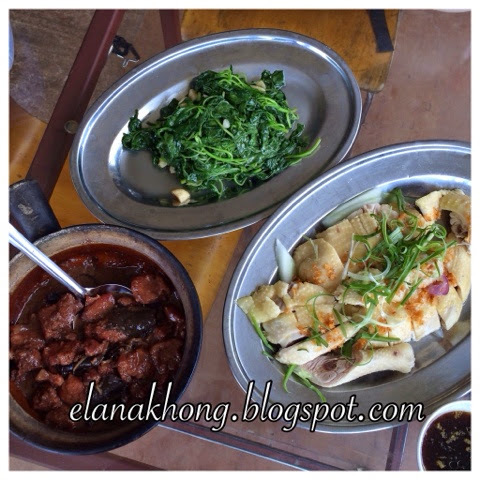 Black fungus pork trotters (Rm25)- A tad salty to my liking and it has the homely taste. 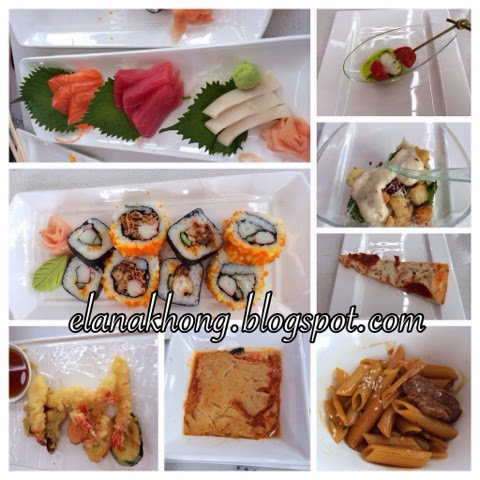 Overall the foods served here is nothing to shout about but it does has those homely cooking feel. I don't feel thirsty after meal too hence not much MSG used. 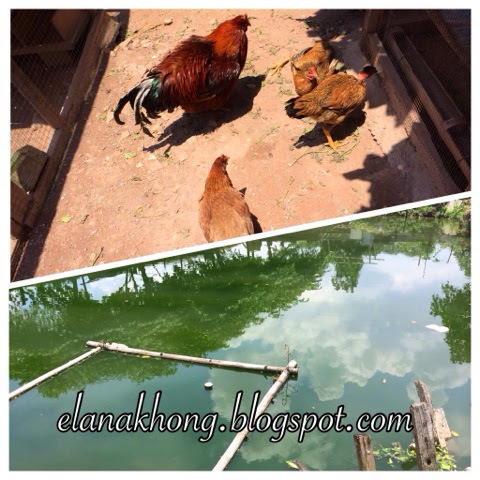 And the plus point will be organic home grown chicken, fresh fruits and vegetable. Trend Micro Incorporated, a global leader in security software, strives to make the world safe for exchanging digital information. Built on 25 years of experience, they offer solutions for consumers, businesses and governments provide layered data security to protect information on mobile devices, endpoints, gateways, servers and the cloud. Trend Micro enables the smart protection of information with innovative security technology that is simple to deploy and manage, and fits an evolving ecosystem. Their solutions are powered by cloud-based global threat intelligence, the Trend Micro™ Smart Protection Network infrastructure, and are supported by over 1,200 threat experts around the globe. Mr Goh Chee Hoh, Managing Director for Malaysia, Singapore and Indonesia, Trend Micro Inc., Ms Jean Lim, Director, Channel Management & Marketing, Trend Micro Malaysia, Mr Victor Lo, Regional Consulting Director, SEA Region, Trend Micro Inc.
As companies seek to transition to the cloud, it increases the risk of cybersecurity. 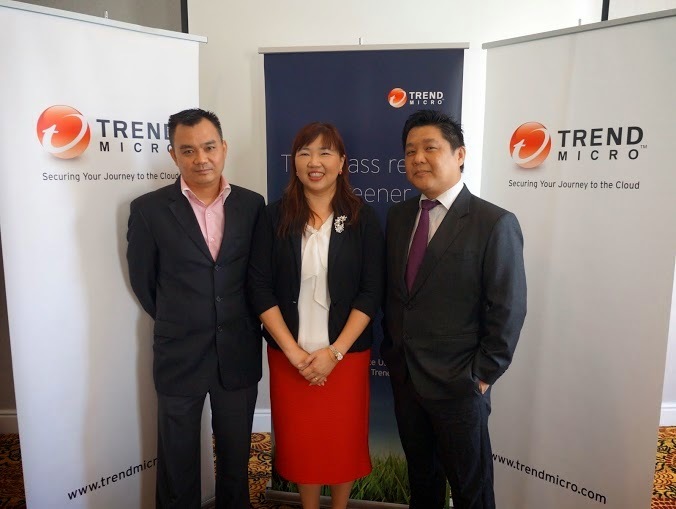 In line with this trend, Trend Micro™ Incorporated (TYO:4704, TSE:4704) a global pioneer in security software, today announced major upgrades to the Trend Micro™ Smart Protection Suite solution set. According to the latest Trend Micro™ Q2 Security Roundup report, the severity of the attacks has escalated, highlighting the importance of incident response plans and organization-wide security awareness. 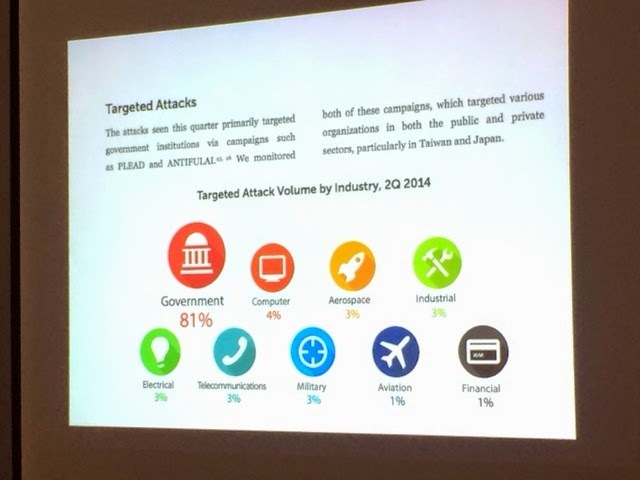 Based on the report, Trend Micro has successfully blocked an average of 5.8 billion threats per month this quarter, indicating a minor increase from last quarter's 5.4 billion threats. Businesses are urged to deal with the security gaps which new trends in user behavior being. 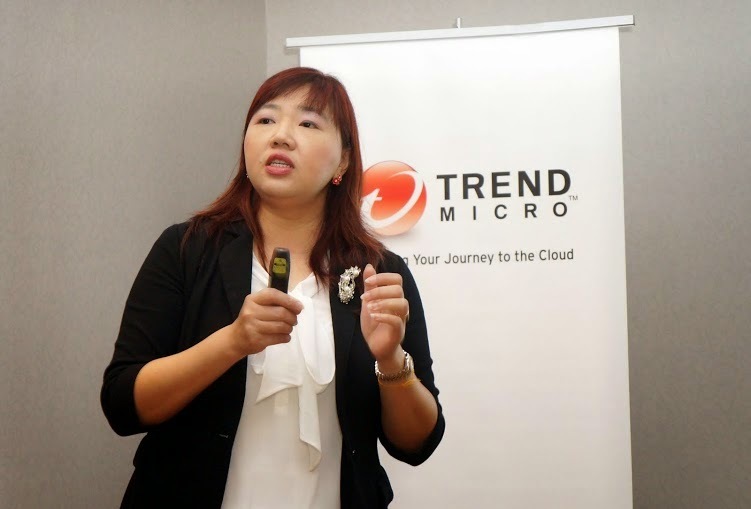 Trend Micro™ has developed enhancements to its Smart Protection Suite to meet this growing demand and to provide greater protection against next-generation threats across all layers of protection and deployment models. Improvements span PC and mobile endpoints, email and Web security to enable integrated visibility and threat response. With "mix and match" support for cloud, hybrid and on-premise deployments, the solution updates are ideal for enterprises and mid-size businesses moving to the cloud. 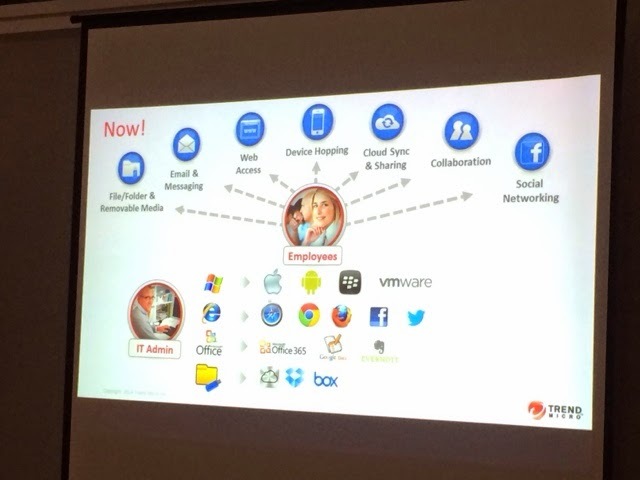 Mr Goh Chee Hoh, Managing Director for Malaysia, Singapore and Indonesia, Trend Micro Inc.
"In this new age of the Internet of Everything, it is equally important to protect both devices as well as the behind-the-scenes infrastructure. 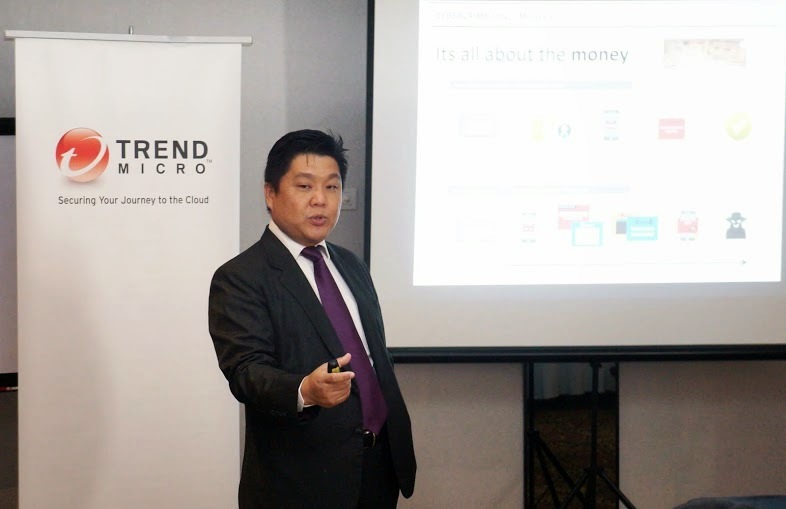 As businesses transition from physical to cloud, hybrid and on-premise computing models, the security approaches they take need to evolve to counter the new threat landscape which will inevitably rise" said Goh Chee Hoh, Managing Director for Malaysia, Singapore and Indonesia, Trend Micro™ Inc. "We have to remember that stolen data has no expiration date. It can and will be used in perpetuity. We should all rethink our security strategies as stewards of data and focus on becoming threat defense experts in our organizations. The Trend Micro Smart Protection Suite is designed to improve security capabilities as business navigate new waters in the cloud. At the same time, we have also simplified deployment at the request of our customers by providing two clear cut options." 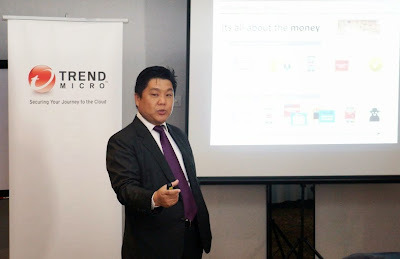 Mr Victor Lo, Regional Consulting Director, SEA Region, Trend Micro Inc. 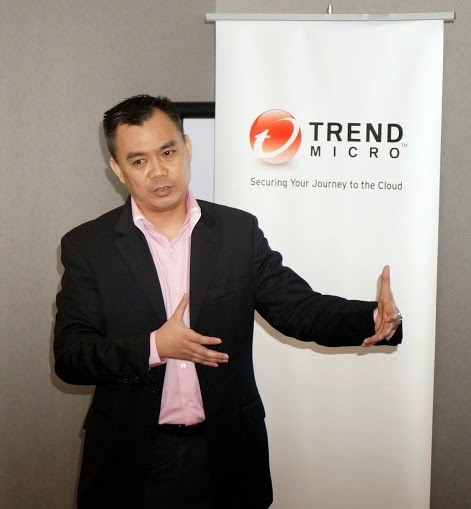 Trend Micro™ Smart Protection for Endpoints - a high-performance endpoint security suite which protects virtual and physical desktops against today's evolving threat landscape using the broadest range of anti-malware techniques available. Multiple layers of threat and data security protect users and corporate information across all devices and applications. This comprehensive suite integrates security across protection layers with flexible cloud deployment, simplified licensing and central management for network-wide visibilty and control of threats and data. Trend Micro Smart™ Protection Complete - is an interconnected suite of security that protects your users no matter where they are going or what they are doing. It delivers the best protection at multiple layers: endpoint, application and network using the broadest range of anti-malware techniques available. Plus, you can evolve your protection along with your business using flexible on-premise, cloud and hybrid deployment models that fit your IT environment today and tomorrow. You can also manage users across multiple threat vectors from a single pane of glass, giving you complete visibility of the security of your environment. * Trend Micro™ Hosted Email Security - Enhanced spear phishing protection and hidden malware detection is added onto the current top performing spam and malware filtering for Office 365, helping protect users by scanning emails for malicious attachments and URLs, spam and graymail and phishing attacks. The coming update includes enhanced spear phishing protectioin and hidden malware detection. Trend Micro™ Cloud App Security - Works with Office 365 using a Microsoft API for Exchange Online, SharePoint Online and OneDrive for Business. Provides data at rest encryption with customer-managed keys, allows added control of data while presenting Office 365 functionally and helps reduce risk with advanced malware scanning through sandbox analysis and simplifies compliance with data loss prevention. 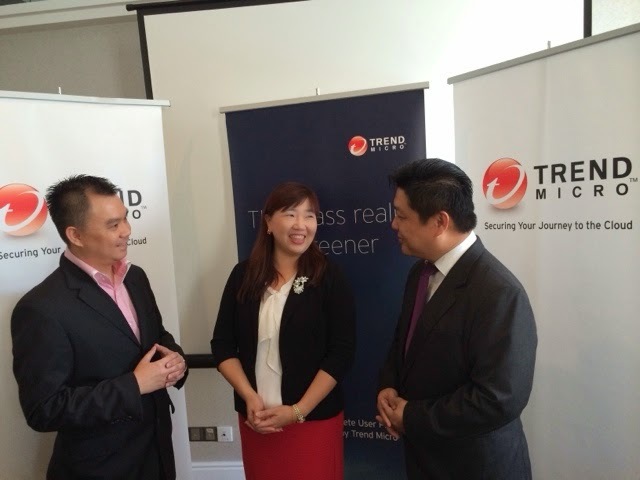 Trend Micro™ Smart Protection Suite is now available at RM116 onwards from authorised Trend Micro partners. 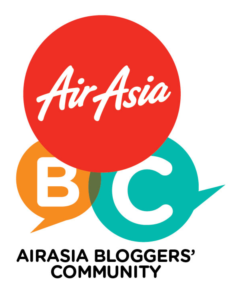 Please call 03-2772 2288 and speak with their friendly customer service agents for more details. Wacoal Second Malaysian Boutique opens at Empire Shopping Gallery,Subang Jaya. Yay! Good news for the ladies... Wacoal officially opened, on 23 August 2014, its second free-standing boutique at Empire Shopping Gallery, Subang Jaya. 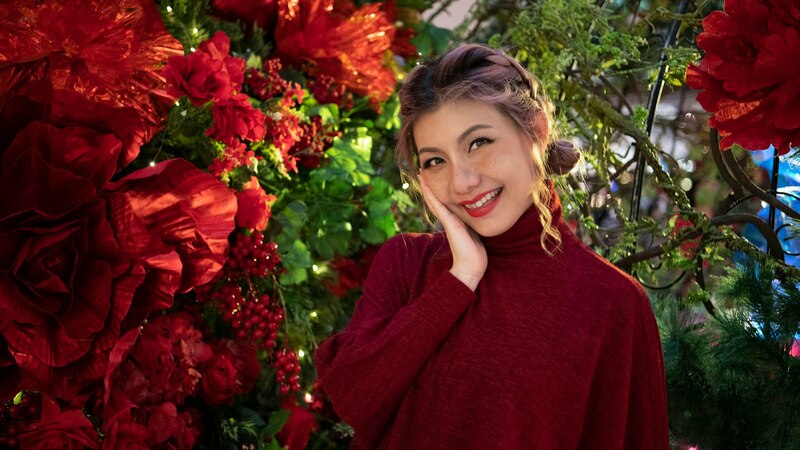 Into its 11th year of operation in Malaysia and bolstered by 65 years of history - Wacoal - the trusted Japanese intimate apparels producer both internationally and locally, is expanding it's products and services beyond departmental stores with its second Wacoal The Store, succeeding the first one at Fahrenheit88,KL. Located on the upper ground floor of Empire Shopping Gallery, Jalan SS16/1, the opening of specialised Wacoal The Store fills a niche and generates much buzz for the mall. As a premium shopping and leisure destination in the densely populated Subang Jaya, the family and lifestyle-oriented Empire Shopping Gallery is in tune with the Wacoal's fundamentals of a caring and dedicated establishment. Couldn't resist to check out the brassier. At Wacoal The Store, generations of ladies from a family can pick through meticulously chosen merchandise in the privacy of the over 1,000 square feet boutique with a fresh, contemporary interior. Exceptional products amid the cosy and intinamte ambience-ranging from the darling Wacoal Gold collection, the body-shaping goddess Magic X to the USA imported sweetheart b.tempt'd(short form for 'be tempted') are set to cater to ladies of all ages. During his welcome address at the official opening, Mr Takashi Watanabe, the Executive Director of Wacoal Malaysia said the well-trained Beauty Advisors at Wacoal The Store will aim at generating a sensory experience for ladies and recommend lingerie of specific design or feature that best suit a customer's needs through consultation. "It is certainly Wacoal's conviction to bring out a woman's self-confidence and aura through her inner beauty," added Mr Watanabe. Others present at the event included Wacoal Malaysia's Business Partner, Ms May Chan,Director/General Manager, Mr Vincent Leong, Miss World Malaysia 2013 Ms Melinder Kaur Bhullar and the Centre Manager of Empire Shopping Gallery, Ms Elena Lee, who officiated the Wacoal The Store opening jointly with Mr Watanabe. 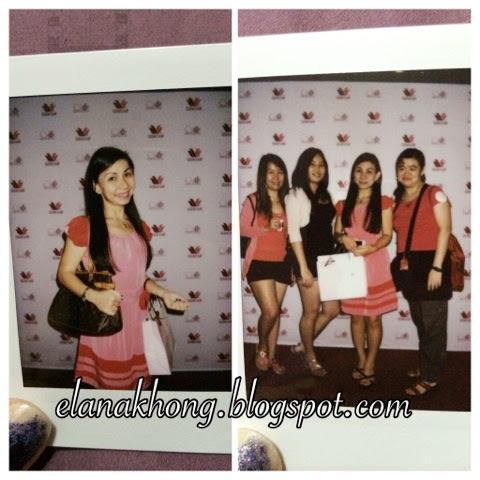 Invited guests and loyal supporters of Wacoal were treated with fun activities like instax picture session and giveaways, plus an exclusive first glimpse of the 20 finalists of Ms World Malaysia 2014. In conjunction with the occasion, many in-store promotions await Wacoal fans and ladies alike throughout the month of August. Alright, let's enjoy viewing some of the collections.